GHI provides the first and only Total FOG Solution that collects Fats, Oils and Grease (“FOG”) from major FOG contributors/generators in communities, preventing Sanitary Sewer Overflows (“SSOs”), and converting FOG into an alternative fuel source as bio-fuel or other sustainable products. Our Waste to Energy model is Pilot-Proof as GHI’s Methodology’s slightly modifies existing FOG disposal and collections by adding convenient residential collection tools and hauling equipment that separate, track and generate four (4) sources of revenue for municipalities and private waste companies. GHI’s dynamic team of highly skilled waste, CNG, bio­-fuel, environmental and regulatory experts consults and designs FOG Mitigation programs and collection systems for governments that drive compliance, increase participation, reduce emissions and increase revenue at no or low-cost. The implementation of a engineered Total FOG Solution will reduce/ eliminate major cost factors associated with repair and maintenance of our sewer systems as well as the treatment and disposal of brown grease. GHI partners and con­sults with governments, community stakeholders and citizens to design Green “best in class” cost-effective innovative solutions to collect and convert waste into a usable product that generates income and preserves natural resources. 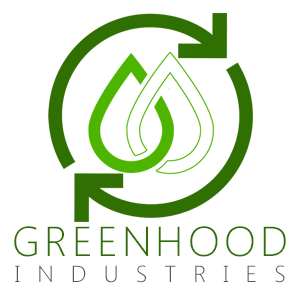 Greenhood Industries provides the only Waste to Energy FOG Solution that collects Fats, Oils and Grease (FOG) from residential communities, preventing Sanitary Sewer Overflows (SSO's). Our FOG Mitigation programs and collection systems for governments drive compliance, increase participation, reduce emissions and increase revenue at no or low-cost.